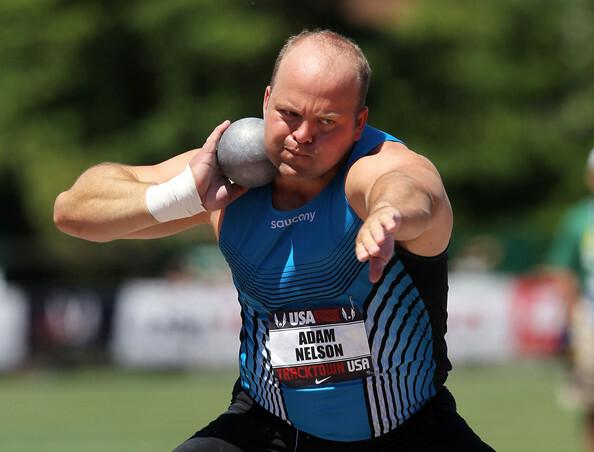 Perhaps no athlete has had the high level consistency that Adam Nelson has demonstrated over the past 15 years. Since winning the NCAA title in 1997, Nelson went on to win a world championship and take second at three more. He has also captured two Olympic silver medals. Throughout this whole period many other shot putters come and went. Sydney Olympic champion Arsi Harju exited the international scene as quickly as he entered. Athens champion Yuriy Bilonog had a longer career but still failed to maintain form years later. Young talents like Janus Robberts never were able to make it on a podium, while others like CJ Hunter and Kevin Toth were sidelined by positive drug tests. 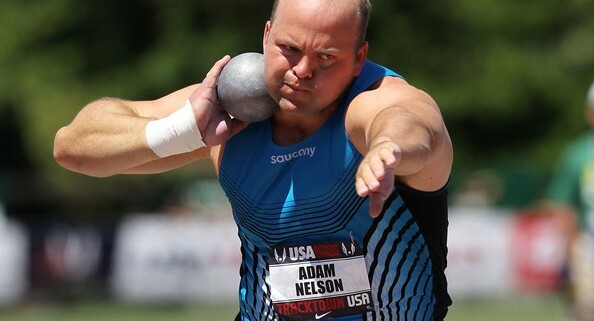 But Nelson has continued to thrill crowds and with his win at last year’s US Championships he showed the world he will still be a contender in London at age 37. I’ve always looked forward to watching him since I first saw him throw on TV at the 2000 Olympic Trials. His come from behind victory with a final attempt personal best was clutch, and his reaction was even better. He is known for the intensity he brings to the ring, but many people don’t know he brings that same intensity and success to all parts of his life. For example, he was an Ivy League graduate and holds an MBA from Virginia. He has also sought out and trained with the best coaches and was more than willing to share his thoughts with me. If you want to hear more from him, I suggest listening to the recent interview he gave on the Thrower’s Podcast. And be sure to support his sponsor Saucony, who plans to release its first throwing shoe this year.